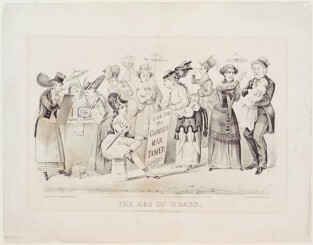 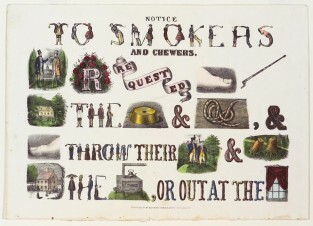 Words formed by drawings of people bent into letters. Vignettes and symbols relate message. 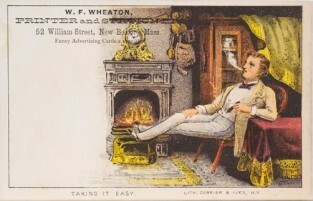 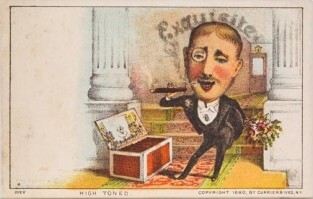 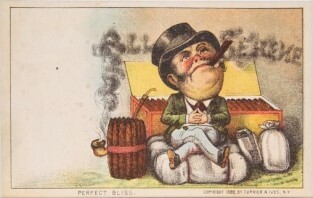 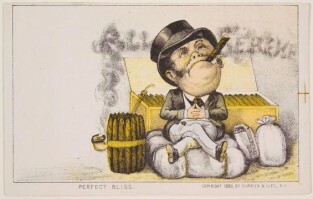 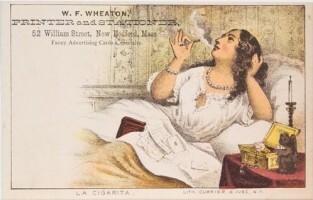 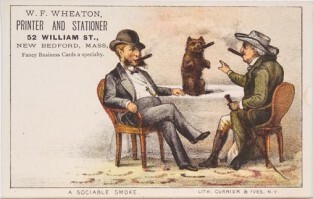 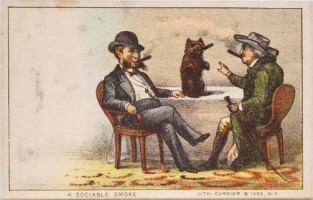 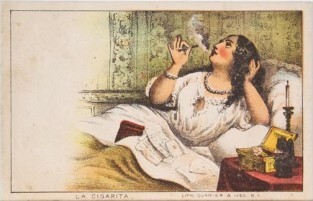 Trade Card: Man wearing a monocle and smoking a cigar standing aside a large box of cigars. 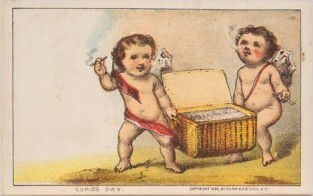 Trade Card: Two cupids smoking cigars and carrying lidded basket of cigars.